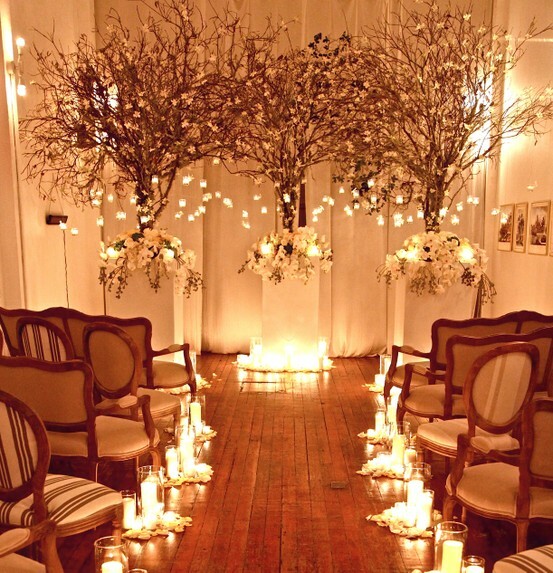 Litter candles down the aisle and on your reception tables to create a soft romantic glow. Not only does this help cut costs on floral, but it fills your space with warm ambiance. Dim lighting elsewhere to make your grand candlelit entrance truly mesmerizing. 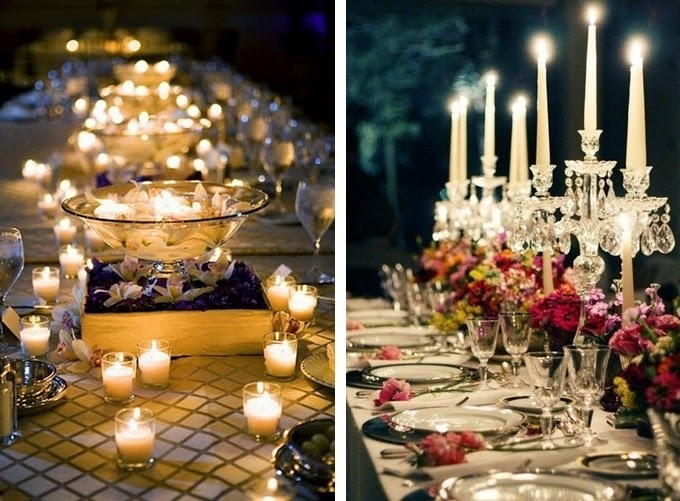 Add lighting decor in areas where your guests can truly enjoy them. 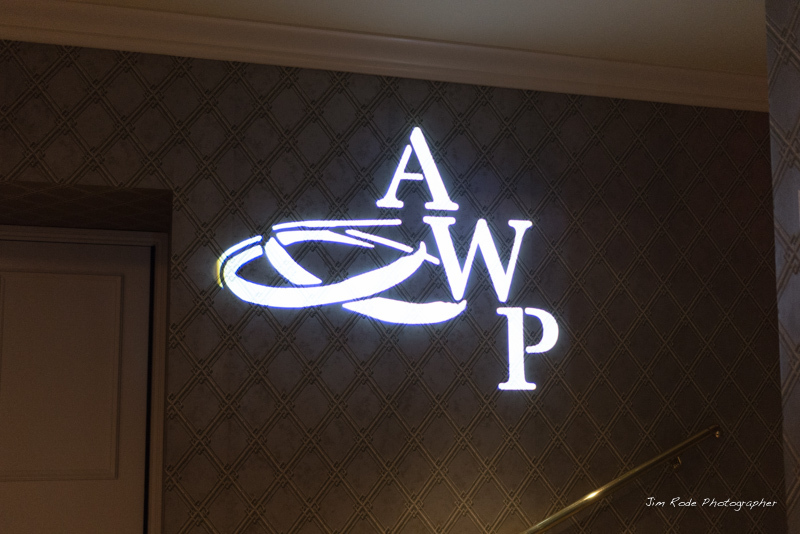 Work with the space you have and add lights to your outdoor areas, or put marquee letters on your sign-in table or bar. Lighting your outdoor spaces gives a touch of whimsy, hang lights overhead or drape them along a wall. 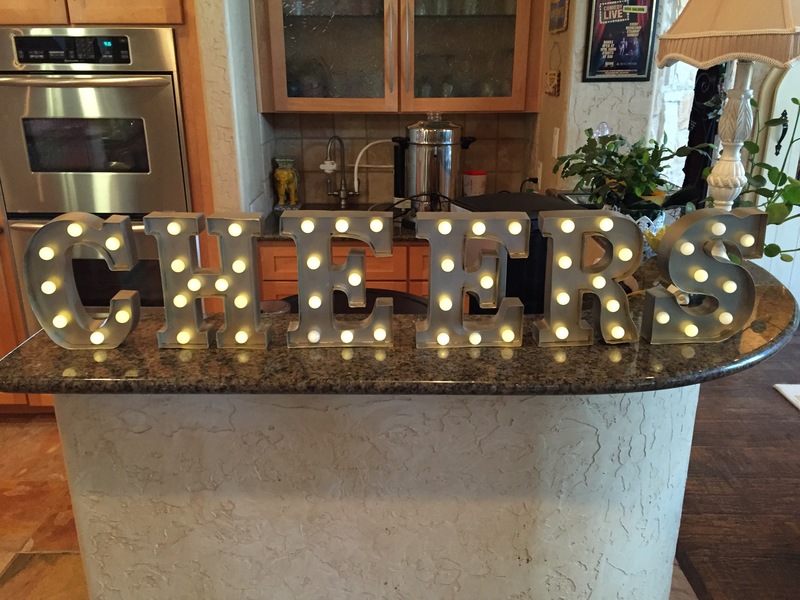 Adding marquee letters or lights in neat shapes helps personalize your event, and grabs the guests’ eye. 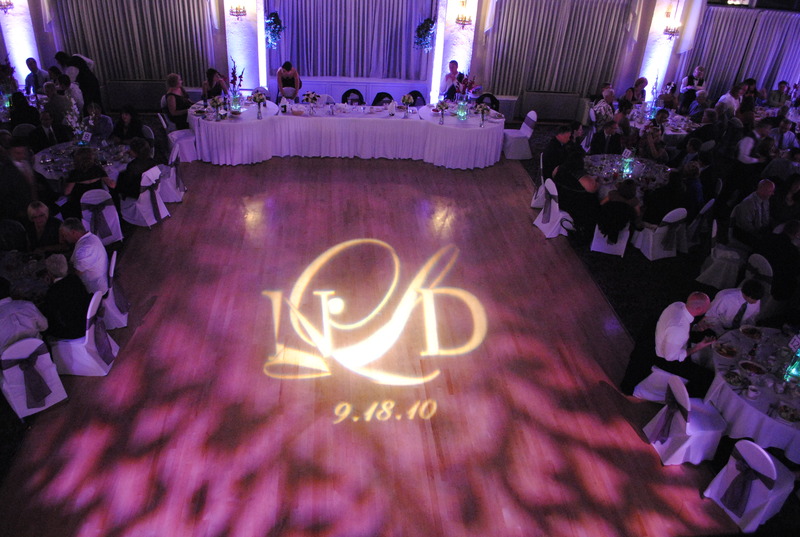 Light up the dance floor or the reception wall with your initials or a special design to celebrate your big night. Many venues or DJ services offer this type of specialized lighting you can truly wow your guests as they boogie on the dance floor. Pin-lighting tables will really help your centerpieces take center stage, add up-lighting in different colors to create the exact feel you want for your wedding. This is my favorite way to use lighting in a space. 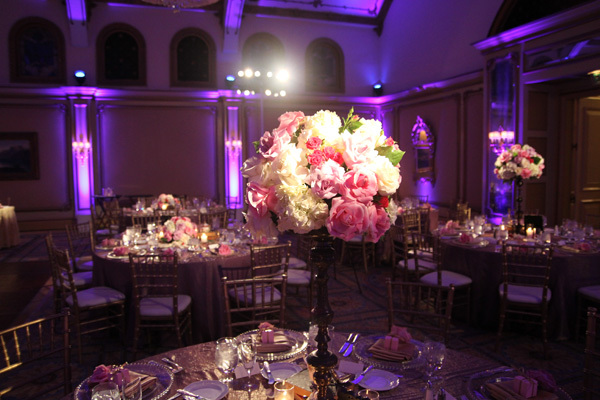 Pin-lighting the tables allows for your floral to really pop, and helps polish your photos. Up-lighting along the perimeters of the venue helps create a soft glow and enhances the color palette you’ve selected for your wedding. Lighting may be a small detail in the big picture of your event, but it will make such a grand statement to guests and in pictures! 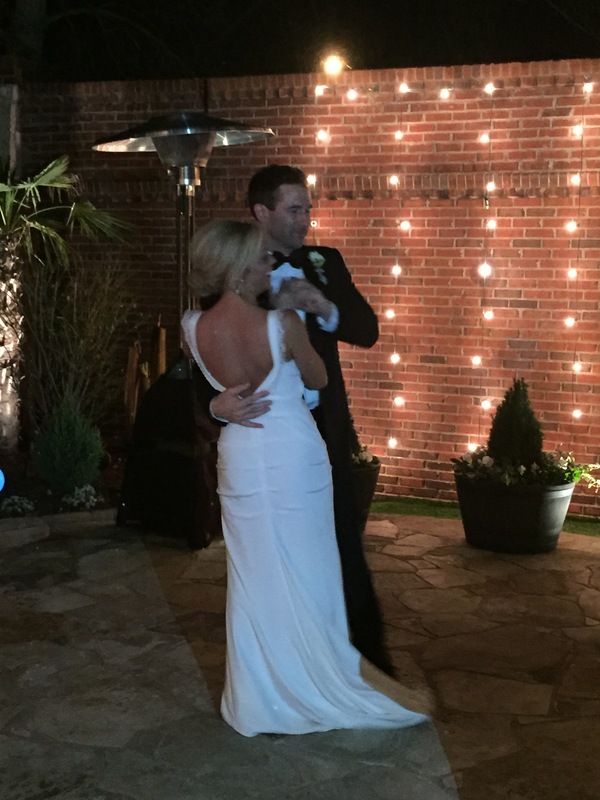 Choose a couple of the ideas above to complete your big day. 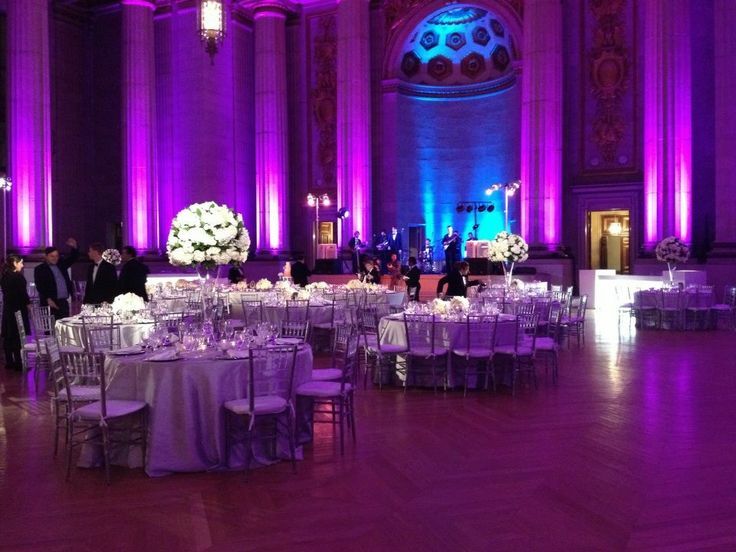 For more information and options when it comes to lighting contact Melanie Hill, http://www.exceptionaleventstexas.com.